Undermined by a leaden script, Live by Night is writer/director/actor Ben Affleck’s third movie as a multi-hyphenate, but after the successes of Argo (2012) and The Town (2010), his latest project is a plodding affair that looks good thanks to Robert Richardson’s usual exemplary cinematography, but otherwise remains remote and uninvolving. The tale of a small-time Boston crook, Joe Coughlin (Affleck), who finds himself at odds with Irish gangster Albert White (Glenister) through his relationship with White’s girlfriend, Emma Gould (Miller), this adaptation of the novel by Dennis Lehane starts off well but soon gets bogged down by messy plotting and too many characters who randomly come and go. Coughlin’s romance with Emma ends badly, leading him to offer his “services” to White’s rival, Maso Pescatore (Girone). Pescatore sends Coughlin down to Florida, to Ybor City, with instructions to take control of his rum-running operation and ensure that White’s activities in the area are curtailed. Once there, Coughlin, aided by trusted friend Dion (Messina), soon streamlines Pescatore’s operation and squeezes out all the competition. In the process he establishes a business relationship with a Cuban family, and begins an affair with the sister, Graciela (Saldana). Things run smoothly until Coughlin’s working with the Cubans as well as a group of local Negroes, attracts the ire of the Ku Klux Klan. Coughlin tries to come to an amicable arrangement with them, but the Klan’s leader, RD Pruitt (Maher) refuses to play ball, leading Coughlin to make an arrangement with Pruitt’s brother-in-law, Chief Figgis (Cooper) that has unforeseen consequences. The Chief’s daughter, Loretta (Fanning), begins making evangelical protests against a casino that Coughlin is building in anticipation of Prohibition being repealed. Her protests lead to the project stalling, which makes Pescatore angry enough to forget all the money Coughlin has made for him, and travel down to Florida to oversee matters for himself, a development that leaves Coughlin vulnerable, and his future in doubt. 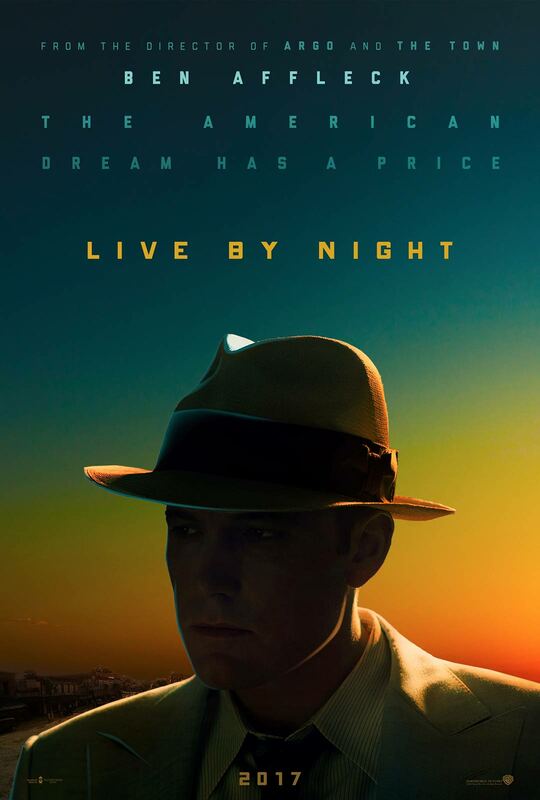 For all the convincing period detail and the impressive production design, Live by Night is let down by Affleck’s inability to craft a cohesive screenplay from Lehane’s novel. While Coughlin’s story is told against a backdrop of violence and betrayal, the movie remains a staid, pedestrian affair that moves at a steady pace despite Affleck’s best efforts to inject some energy and verve into proceedings. Part of the problem is the number of characters that appear for a short time then disappear or pop up again for another short period. Despite the cast’s best efforts, they’re let down by Affleck’s script, which uses each character to advance the narrative, but without investing in them to any great degree. This leaves actors of the calibre of Gleeson, Saldana and Glenister stranded for the most part, with only Miller and Fanning making much of an impression. It doesn’t help that Affleck’s portrayal of Coughlin also lacks range or depth, leaving the viewer hoping that things will improve over time, and that a way in to the material with eventually arise, something that, unfortunately, never happens. 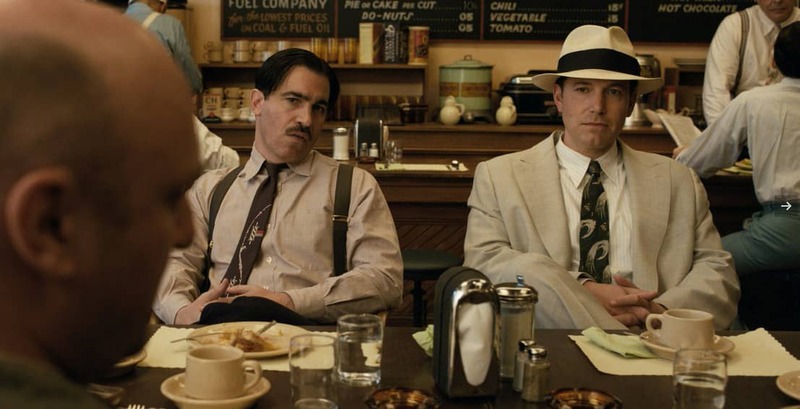 Rating: 6/10 – curiously turgid and flat, Live by Night has clear aspirations to be a crime drama with operatic overtones, but instead, remains resolutely commonplace; with too many strands that make for a stop-start narrative, and characters that aren’t allowed to make much of an impact, the movie keeps its audience at a distance, and never looks as if it will close the gap at any point throughout.